There can be a lot of debate around the club’s failure to secure a goalkeeper in the summer, but there can be little debate going forward about who should be starting as Palace’s ‘keeper until at least January. Julian Speroni had to wait for Wayne Hennessey to pick up an injury to get his deserved chance in goal; but when it came, he grasped it with both hands. From his name being announced lifting the crowd, to the very visible confidence his presence gave the defence, Jules looked like he had never been out of the team. Assured when called upon, always communicating with his defenders, he proved that while he is not the long term answer, he is certainly the best immediate term solution. The gesture to the fans at the end showed he gets us as much as we get him. Wilfried Zaha’s importance to Palace is nothing new to Palace fans; that is why we were desperate for him to regain fitness. What Saturday showed was a many new layers to Wilf which is the culmination of the improvement he has shown for the last 12 months. The raw skill, the ability to beat any player with an improvised trick, the pace and the directness are all still there. What has been added is maturity, responsibility and leadership; he knows he is our talisman and he wants to lead and deliver on that level. His interview with the BBC showed him to be a thoughtful, insightful, self-analytical with the desire to lead the club to success. He now shows these traits on the pitch as well. That he is a product of the Palace Academy is the icing on the cake; he is the ‘Academy Dream’. Mile Jedinak and Kagisho Dikgacoi. Jedinak and Joe Ledley. Luka Milivojević and Yohan Cabaye; all of Palace’s success in recent years has come from central midfield partnerships with complimentary skills. Where Alan Pardew and Frank De Boer failed was to find this balance. Between them came Sam Allardyce whose use of Luka and Cabaye allowed the team around them to fulfil their roles effectively. Saturday was the return to this; Luka’s tenacious ball-winning, non-stop running and shielding of the back-line. Cabaye with his interceptions, possession winning, ball rotation and being available to teammates who had the ball. It was the first time this season that Palace had a functioning central midfield partnership; with Ruben Loftus-Cheek to come back into the mix as a third option in there, this must be the basis of the team’s success. We were told by Fulham and West Brom fans to expect Roy Hodgson’s teams to be well drilled and effective units with each player knowing their roles. The win over Chelsea was the first demonstration of this. Joel Ward and Scott Dann had their best games in a while; neither were being asked to perform aspects of the role that did not suit their ability.Jeffrey Schlupp has arguably his most significant game in a Palace shirt offering support in defence, within the midfield and attack. Andros Townsend was full of endeavour and no shortage of skill and James McArthur’s energy was focussed. Along with Speroni and Zaha putting in excellent performances and midfield base mentioned above, Roy and his coaching staff had the team performing as a unit. There are 30 more rounds ahead, the ‘Team Factor’ will have a part to play to achieve our goals. 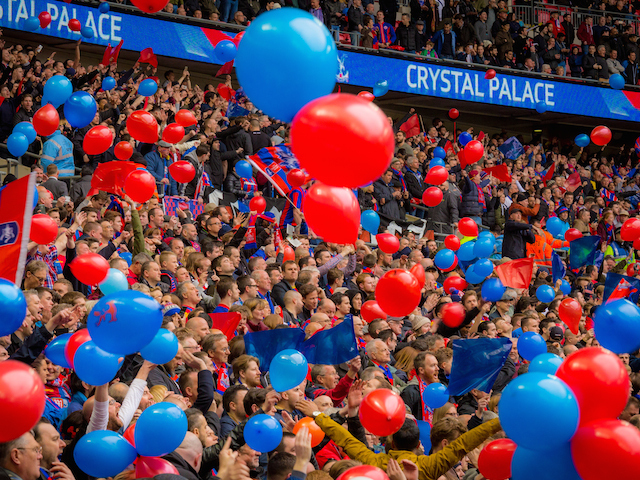 An academy product leading our threat, a club legend back in goal, the team playing as one, a manager who gets Palace and the fans creating an atmosphere which boosts the team – Saturday was the first time in a while it felt like the Palace we all love. The days of 11 individuals having to work out what the tune is of a coach with a fanciful idea of how the team should play seemed long gone on Saturday. We have our Palace back; long may it continue. The combustive delerium when Yohan Cabaye's deflected shot nestled in the back of Thibaut Courtois's net was the result of months of frustration at the lack of goals and subsequently points. It was a cathartic moment for the players and fans -- and it all came from simple changes made by Roy Hodgson. Bill Shankly once said that football was a simple game complicated by idiots -- the simplicity is to score goals and win games. The idiocy cans sometimes come from the layer of complexity we add to the sport. It is with that in mind that Hodgson took advantage of the two week break in fixtures to review and restructure Palace's approach. During the international break, the former England manager removed some of that complexity; and in simplifying the way the side played he allowed his team to express themselves. So much has been said since Frank de Boer's sacking about Palace needing to go back to basics. In that regard, it was assumed that playing Tony Pulis tactics or Sam Allardyce tactics would be the necessity -- that Palace would return to a more direct, less possession-based approach to their game. But in assuming so, there's a misrepresentation of the work that Hodgson has done at the club -- and the work he did previously at West Brom and Fulham. Palace didn't win from rudimentary football; they won from intricate play interspersed with spells of defensive ruthlessness and a goal-scoring knack that had been missing for so long. This wasn't a return to spoiling tactics -- Palace were instructed by Hodgson to take the challenge to their London rivals. And that's what the team did. Jeffrey Schlupp lining up alongside Luka Milivojevic, James McArthur and Yohan Cabaye as part of the midfield unit was arguably the surprise of the day. Schlupp was signed as a left-back, has played as a left-winger and has sometimes featured as a striker, but as a centre midfielder? That seemed an unlikely move. What it proved to be however was a masterstroke. Schlupp's pace allowed the player to cover in defensive areas and to provide additional support to full-backs, without then also putting his fellow midfielders under undue strain. Thanks to a seemingly-ceaseless reserve of energy, Schlupp not only proved himself to work diligently alongside his midfield teammates, but he did some excellent defensive work too. It wasn't an intricate tactical masterpiece but one that, when looked at in the context of the match, proved to be the simplest of innovations. It's also worth highlighting the impressive way in which Wilfried Zaha and Andros Townsend performed in their attacking roles. Both have a tendency to drift wide but, thanks to what seemed to be a great understanding between the two players, when one did that the other played more centrally. While Zaha will get the majority of the plaudits for the excellent goal he scored and his tenacious performance, Townsend is worthy of a great deal of credit thanks to not only his work rate but also because of his ability to provide his teammates with an escape route -- the former Spurs winger took possession with Palace under pressure on a number of occasions, giving the defence an opportunity to reshape and reorganise. 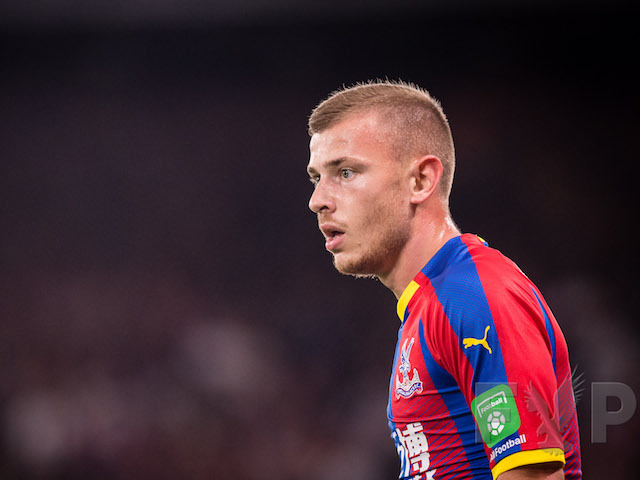 Palace's cause was helped by the way Chelsea's defence cowered whenever Zaha and Townsend attacked -- but as Sam Allardyce said on Goals on Sunday, it's a known issue for this Chelsea team -- Palace just did an excellent job at exploiting it. Saturday's win was also an opportunity for some of the more maligned Palace players to step forward. 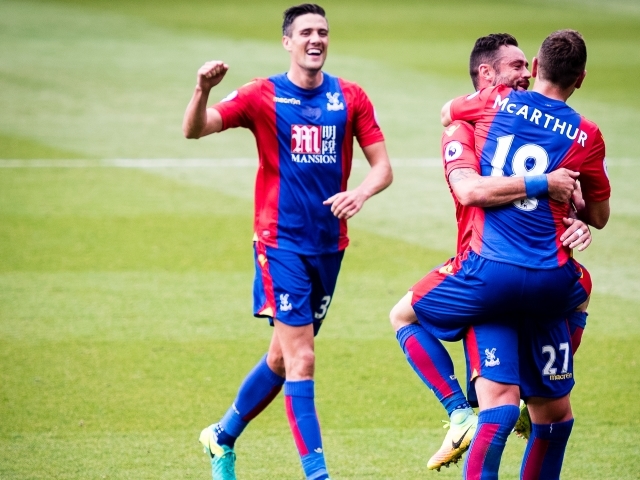 Scott Dann took the captain's armband and the centre-back position alongside Mamadou Sakho, Joel Ward returned to the right-back role, James McArthur in midfield and Julian Speroni in goal -- and all four put in hugely credible performances. Dann, like Ward, hasn't had an amazing 18 months. Injuries and poor form didn't help either of the defenders. The same couldn't be said for McArthur, who struggled with fitness during Allardyce's spell and looked like he might be leaving Palace under De Boer's reign. In Speroni's case, after being omitted from Alan Pardew's side because of injury, he repeatedly struggled to convince the managers that followed of his ability. But in the world of goalkeeping, opportunities typically only present themselves when injuries occur -- and this happened prior to Saturday's game with Wayne Hennessey picking up an injury while on international duty. 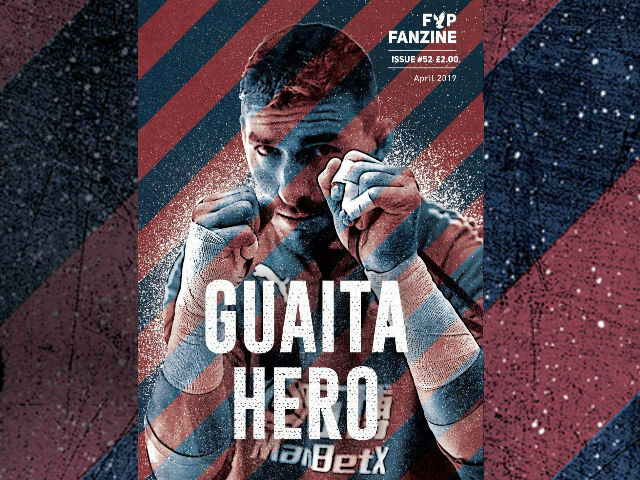 Partnering with Sakho, Dann made Michy Batshuai look decidedly average, Ward did a sterling job of keeping Eden Hazard under wraps, McArthur was instrumental in the build-up to the first goal with a well-disguised pass to Townsend, and Speroni made a number of good saves to keep Chelsea at bay. All four have staked their claim for further inclusion in the first-team for the Newcastle United fixture next weekend. This should also be a reminder that this is a squad game. That Palace are only as good as the sum of their parts. That a first eleven of best players doesn't always make the best team. That's not to say that with Ruben Loftus-Cheek and Christian Benteke available, Palace's starting lineup wouldn't change. But Hodgson picked an unlikely lineup that best suited the scenario he was facing. That's management. While Palace's performance wasn't a classic one, it was impressive. The atmosphere and support that flowed from the stands was too. It was a reminder to us all what supporting the side felt like. What it meant. 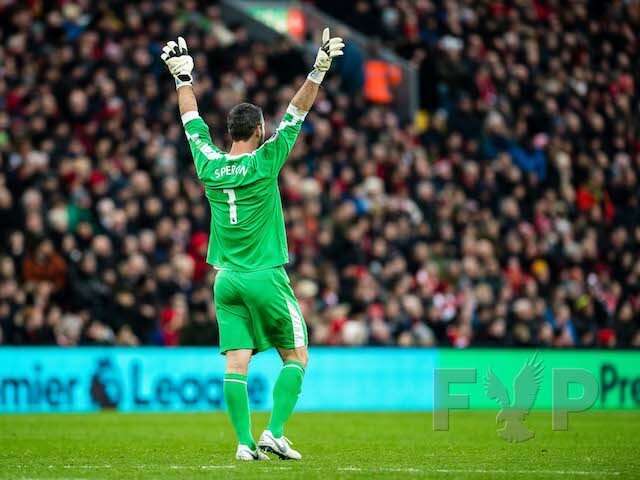 Speroni said in his PalaceTV interview that the support in the final few minutes galvanised the squad. That he led the side to the noisiest corner in London at the end of the match, with most of the players following, just further empowered that bond. It wasn't just relief, but defiance that flowed from the stands. 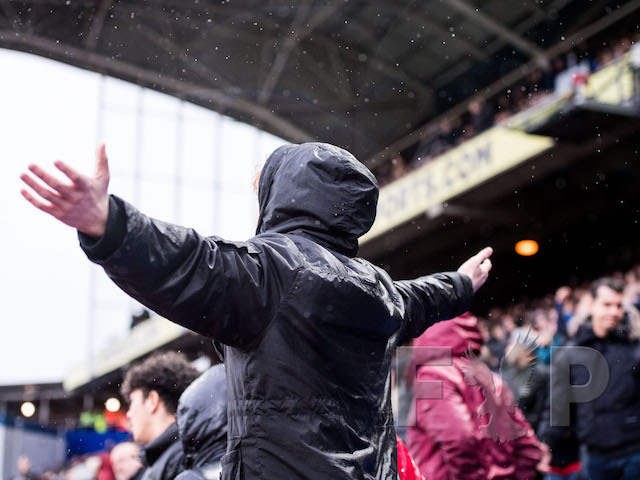 Palace must be resilient now, to fight for every minute of every game. And it all starts again next week against Newcastle United. Manchester City 5-0 Crystal Palace - Five Things We Learned as Palace get Smashed at the Etihad. Crystal Palace were taught a harsh lesson. Having held on for 43 minutes, the Eagles conceded just before half-time and subsequently conceded four more. Here are five things we learned from a tough day at the office. Palace have gone into the season with two key imbalances in the squad; one recognised striker and just two goalkeepers. The latter issue has been brewing for the previous two seasons and as Wayne Hennessey conceded his nineteenth goal in four visits to the Etihad, time has come for Julian Speroni to be given the gloves. While his best years are past him, Speroni’s ability to make exceptional saves compensates somewhat for the other shortcomings in his game in a way in which Hennessey has never been able to. The team needs a goalkeeper is less likely to add to the fragility of the team’s confidence. Back in 1997/98, when Atilio Lombardo got injured, such was the focus on securing his services and neglect elsewhere in the squad, that Steve Coppell was forced to use youth player Rory Ginty in place of the Italian international. With Christian Benteke injured against Manchester City and the club failing in the transfer window to add sufficient back up, the options available to Roy Hodgson are not much more appealing than Ginty was to Coppell. Bakery Sako, thus far out of his depth at this level in his favoured position let alone out of position and Freddie Ladapo will be vying for the striker’s role. It’s hard to see any outcome dissimilar to how Coppell’s team coped without Lombardo. Part of the issue with Frank De Boer’s three-man central defence was Scott Dann’s lack of communication. This was an issue which persisted throughout his spell as captain under Alan Pardew and part of the reason why Sam Allardyce removed him from the role. With Timothy Fosu-Mensah, talented but inexperienced to the side of him and while he is leading the team, he needs not only stand up and be counted but ensure others around him are as well. 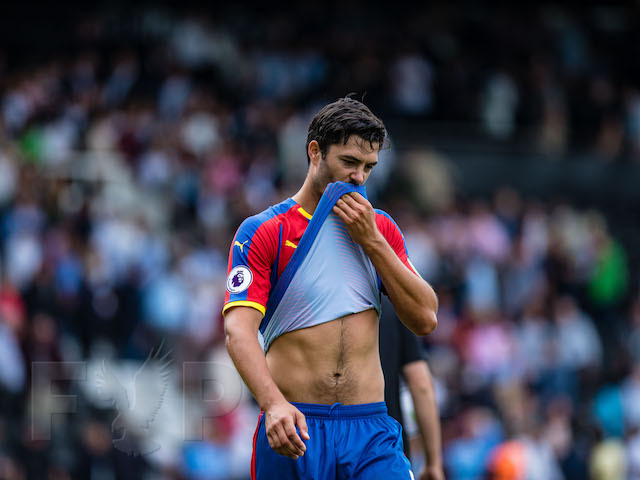 James Tomkins formed an excellent partnership with Mamadou Sakho last season, the competition is there and Dann needs to step up to the plate. 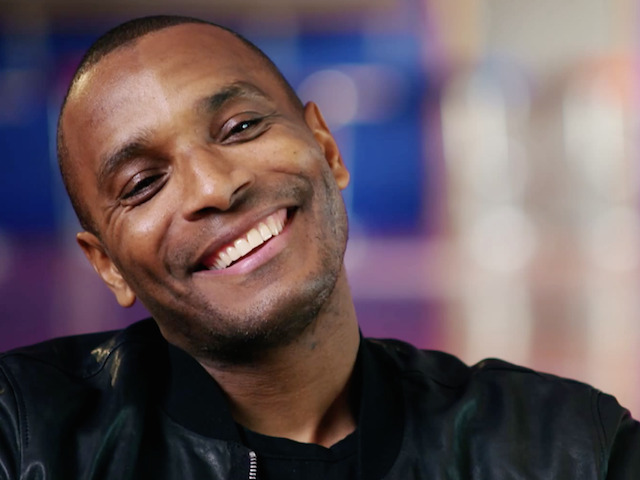 Jason Puncheon and Joel Ward have made an immense contribution to Palace over the last few years; the latter during the promotion run and header off the line in the closing minutes at Wembley and the former being instrumental in the club’s stay in the top flight. However, while any success the team has had has been with them included, the time has come for the team to progress without them. The manager made a brave call to leave out two players without whom Palace have not win a Premier League match since 2013. But it was the right call; their role now has to be as able understudies. Roy Hodgson was pretty frank after the game on Saturday suggesting there are few positives that can be taken from a 5-0 drubbing. However, there were signs that familiarity with the tactics will generate results going forward. The team looked effective on the counter attack, there was a focus on the wide players and with Luka Milivojević restored in front of the back four, there was enough to suggest that Yohan Cabaye and Ruben Loftus-Cheek will have an impact when the playing field is more even. Saturday’s defeat was not the time to judge Roy; that time will come in the 32 games ahead. It's been a yoyo season for Palace fans. Here are five things Naveed learned. After a torrid first half to 2016, as we embarked upon the 2016/17 season, much was made about a team which would transition into one which plays on the front foot. This involved setting up tactically without a specialist defensive midfielder, naming Scott Dann as captain and selling Mile Jedinak. Results did not follow – just four wins in half a season and the team conceded five away at Swansea and three at both Hull and Burnley. Being carved open at the opponent’s will, Steve Parish spoke about “winding the dial back” after Alan Pardew’s sacking – a clear indication that more emphasis was needed on defending. Sam Allardyce’s impact was not immediate and he needed the January transfer window the address the squad’s issues at left-back, centre-back and crucially the addition of a defensive midfielder. The work on fitness, a tactical set-up to effective without the ball, back to counter-attacking and an organised base on which the like of Yohan Cabaye could dictate play and allowing the wingers to flourish culminated in some of Palace’s best set of results in the Premier League era – wins away at Chelsea and Liverpool sandwiching a thrashing of Arsenal at Selhurst Park. Before the team embarked on a run of six wins in eight, Jason Puncheon was named captain and Mamadou Sakho emerged as a leader and defensive organiser. Whatever the tactical set-up and desired style of play, the roles of leadership and organisation to that cannot be overlooked or underestimated again. Little-known when Paul Hart gave him his debut while the club was in administration and thrust into the limelight by George Burley in the first game of 2010/11, Wilfried Zaha scored on his debut and had the fans dreaming. Dreaming that this kid would be the one, the one who becomes a club icon, the one we can be proud of for representing Palace and the one who can carry the team to many great wins. And while he started that in the Championship, this season he became that player we all dream of seeing come from within the club. Spectacular goals against Hull and Swansea, matching winning performances against Chelsea and West Brom and then the quantifiable product – seven goals, nine assists, averaging 1.1 key passes per game, the most completed dribbles in the Premier League, the most fouled player in the division. The list goes on. Two years before his debut, Neil Warnock gave debuts to eleven academy youngsters and while Nathanial Clyne and Victor Moses ply their trade towards the top of the table, neither (for various reasons) saw through their progression at Palace. The hope all Palace fans are clinging on to is that Wilf stays and does see it through. He is more than just a delight to watch; he can now lay claim to being Palace’s best ever player. That he came through the academy is the icing on the cake. In Julian Speroni’s last three seasons as number 1, the club won promotion (largely thanks to him at the Amex and Wembley), finished 11th and then 10th in the top flight. Since then in each of the last two pre-seasons, the club has tried to sign a number 1 to replace him. Two years ago, Alex McCarthy joined and went straight into the team. Despite results, he didn’t look at ease and was replaced by Wayne Hennessey. Last summer, French International Steve Mandanda signed and while Palace won the first three games he played in, Mandanda has not played since his 9th appearance. Again, Hennessey came into the side and kept his place. That is in the face of a number of misjudgements and outright errors he has made throughout the season. Whether it is questionable position at free-kicks, slow to react to long shots or missing crosses, there has been enough evidence to suggest that the club should try for a third successive year to sign a competent goalkeeper. Hennessey has among the lowest save success rate in the Premier League and conceded 46 goals from 134 shots faced. To avoid a repeat of this season, he must not start at first choice in August. While Allardyce knows the areas of the squad he wants to strengthen, his hand may be forced with some first teamers departing. However, as well as getting the recruitment for the first XI right, he also needs to refresh the bench options if the squad is to avoid suffering the fitness and injury issues it did for the two years prior to his arrival. The left-back situation, with Jeffrey Schlupp and Patrick Van Aanholt competing for the starting spot is what needs replicating elsewhere. The likes of Chung Yong Lee, Bakary Sako, Frazier Campbell and Joe Ledley cannot be the back-up players if Palace are to push the top 10 as Parish has indicated. Additionally, Joel Ward and the central midfielders need more competition to both push them and allow them a break and while we have been fortunate that Christian Benteke has played the majority of games, that fortune may not be repeated next season. A busy summer of outgoings and incomings is needed to give the squad the balance needed to ensure a season with little turbulence. Achieving a club record fifth year in the top flight is a cause for celebration, given it is the longest in a 112 years. However, beyond the playing squad being addressed to prolong the record, each of the last four seasons have shown slipping back into the Championship can happen if complacency sets in. Two wonderful second halves to the season saved Palace under Pulis and Pardew and the latter’s excellent start to 2015/16 meant winning just two games in half a season didn’t result in relegation. This season, a burst of six wins in eight brought us close to survival. In that time, the likes of Aston Villa and Newcastle have been relegated. 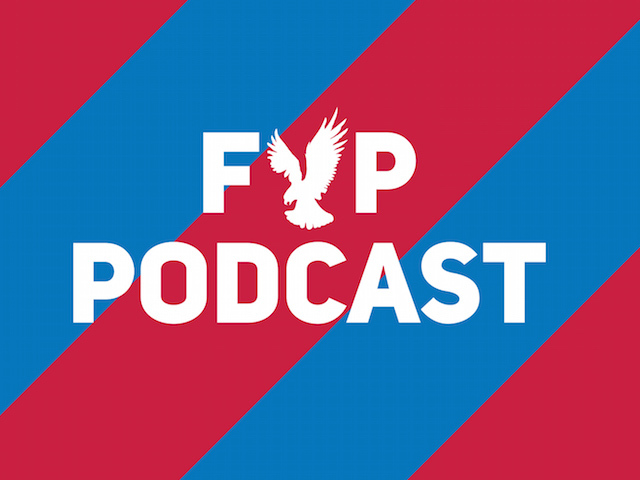 In any given season, it could be Palace and with that in mind, it is important that we start to see tangible changes to the club’s infrastructure. While things may be happening behind the scenes, visible progress with the stadium, advancing the training facilities and an academy capable of Category 1 status will provide a strong basis for the club to build from regardless of which division the club is in. We can lose our Premier League place at any time. It’s crucial these years are not wasted.